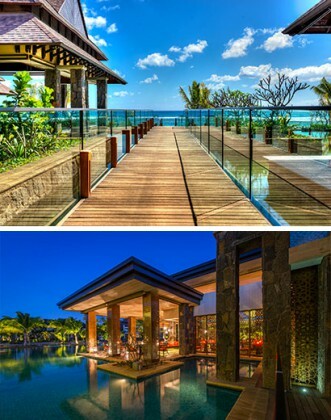 Having opened in September, on the North-West Coast of the island, in the heart of a 10-hectare tropical paradise, the Westin Turtle Bay is the latest star of Mauritian resorts. This 5-star hotel is strung out along 800m of beach, in the Baie de Tortues, one of the most beautiful coral reserves on the island. Throughout the 190 bedrooms and suites, 15 of which are private villas, the decoration emphasises natural topical materials such as teak and volcanic rock aligned with glass, creating an equally chic yet exotic atmosphere that matches the surrounding environment. Amongst the 5 restaurants, our personal favourite is Fusion and the best tables line the poolside, with a fantastical view of little mini-islands floating in the water, planted with palm trees. And at the vast spa, treat yourself to the signature treatment: a heavenly massage that eliminates all stress and tension. The dream! The Exhibitionist: in the French quarter.